Furnace Repair in Central New York | Standard Insulating Co.
You know Standard Insulating Co. offers the best insulation possible for your Central New York home. But did you know you can also count on us for furnace repair services as well? We provide quality furnace repair so you and your family can enjoy warmth and comfort all winter long. Our technicians will provide you with expert furnace repair for your Utica–Rome home. 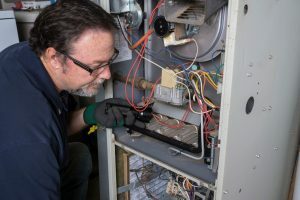 You can count on us for optimal home comfort now and well into the future when you choose us for your furnace repairs. Trust Standard Insulating Co. when you need furnace repair for your Central New York home. To find out how we can help you improve your Central New York home and its comfort level, as well as how we can help you save money on your energy bill, contact Standard Insulating Co. today. Call us toll-free at 1-(800) 738-1424, and we will be more than happy to assist you with your furnace repair needs.